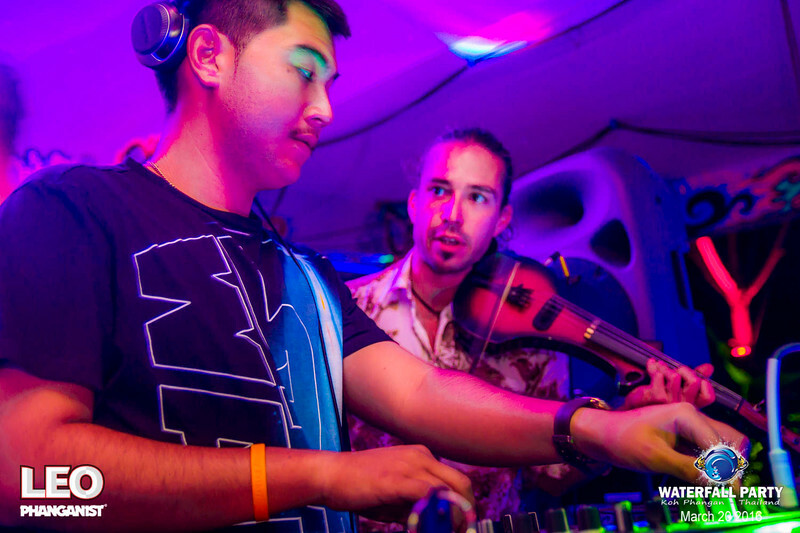 Jho, professional musician, has been playing violin since the age of 4. His improvisational style spans the genres for music lovers all around the world in deep house, pop, rock, reggae and dub. Hi Jho, how are you? I’m fine! Nice to see you again! Are you enjoying your time away from Phangan, what have you been up to? You know that I enjoy my life at any moment! I hope you do the same? Honestly, I am looking for Phangan a little bit everywhere I go since I came here for the 1st time! It’s such a paradise! Time goes fast I spent most of my time travelling and discovering the world! I found very good parties in Berlin, Cz Republic, Poland and Athens. In the Cyclades Islands I recharged my energy, in the Pyrenees ( France/Spain ) and the Alps mountains aswell (France/Italy). I am visiting Russia. I played on Gypsy Jazz and pop songs project in France, on Trap music with Simdal in Berlin and I will come back there soon to play with DJ MaRives that I met in Phangan where we played in Sandcastle for the first time, she mixed there last week. You made a beautiful mark in the party scene here, what parties did you play? Thank you! I have been invited at the Jungle Party and the Shipshap Boat Parties where I made a video clip. I played aswell at Infinity, Waterfalls ( see actual clip below !) , Merkaba and Half-moon, Anantara Hotel, Russian and French venues like Zenzi bar or L’alcove for the sunset. And what do you think it brought to the scene? I think an organic sound is a plus in a electronic atmosphere, I can see the people dancing differently when I start playing as if they're surfing on a wave, floating in the air. 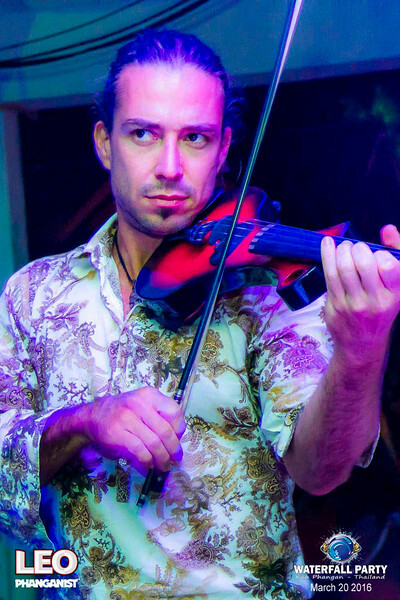 I love seeing the surprise in the people eyes when they see me there in the party, they have a big smile realising that the sound of the violin is not coming from the track. All those different reactions in the crowd is a kind of gift to me who performs hard, it's not as easy as it looks! Yes for sure but my 1st plan is to go to Goa for Christmas. I will come later to Phangan where I have many good memories with all the DJ's I met there and artist traveller friends who are already there like Mika Tchu with Pyro BanGang (fire show) and Julius Mcdevraine (guitarist). I wish I could play at Eden, Guys bar, and the lost paradise this time! Being happy, as always! Give a smile to people all around the world and play more and more on good vibes with good people! But now I am in a hurry to go to Berlin to Play with DJ MaRives the 8th and 9th of December! And leave us with some advice for aspiring musicians…. 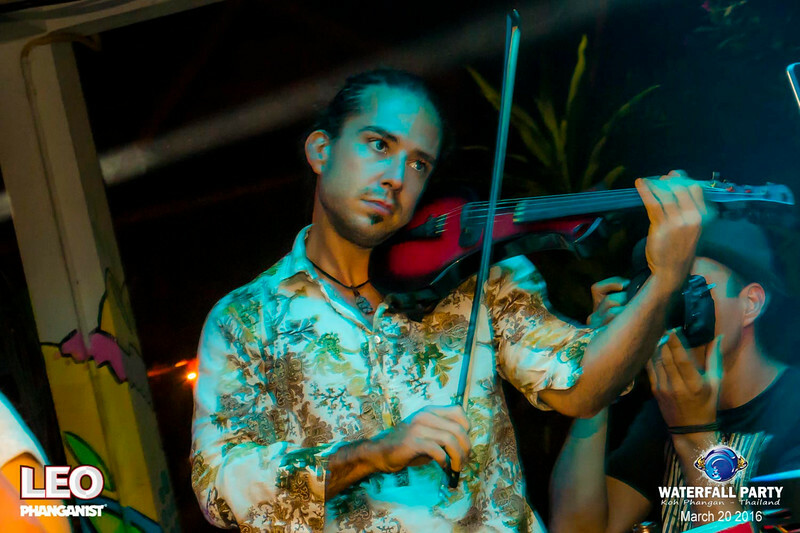 [For inspiration] I discovered Hang massive recently who is touring a lot actually, and my favourite actual violinists are jean-luc Ponty ( the master), Miri Ben Ari the Hip-Hop violinist and Mark Wood for a Metal version!